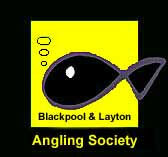 Latest News: 2019 Memberhsips available at Blackpool Angling Centre or new for 2019 -- renew by phone. New Members can save £ 10 if you join by phone before June 2019 -- 07876 748045. We have renewed with Toad Hall so BLAS members can fish for free at Toad Hall Fishery.